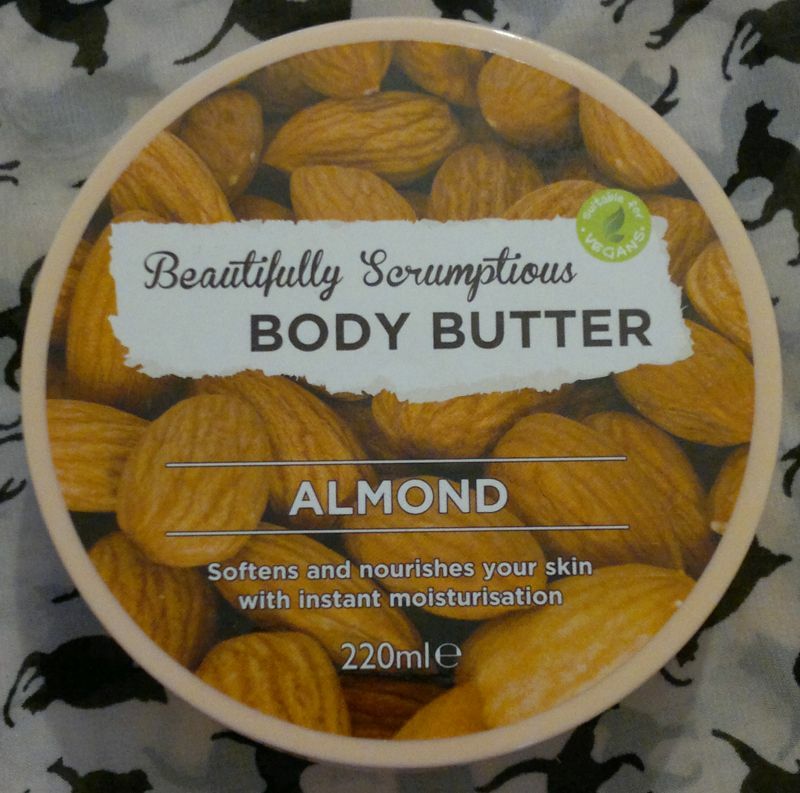 1 I Love… Chocolate Truffle Nourishing Body Butter – this is one of my favourite body butters. It smells like chocolate ice cream! I have a few more tubs of this body butter. 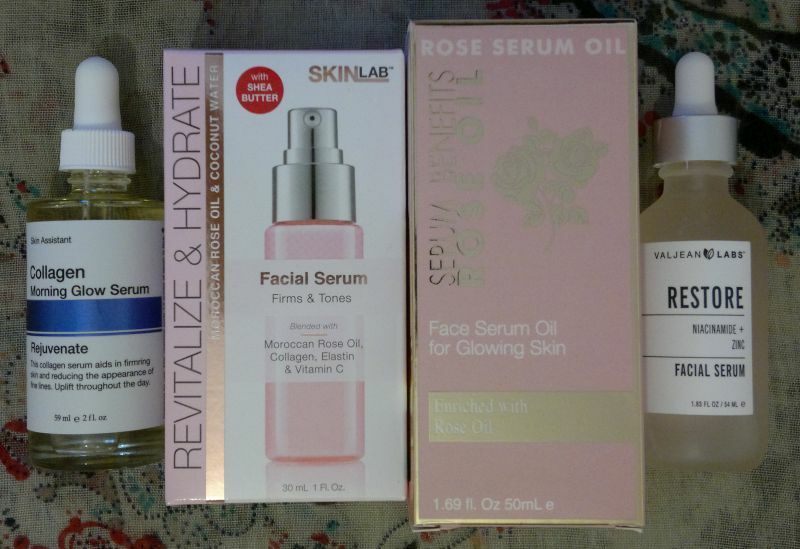 2 True Skin Hydrating Facial Water – I’m glad this stuff is finished. I didn’t like it at all. Good riddance! 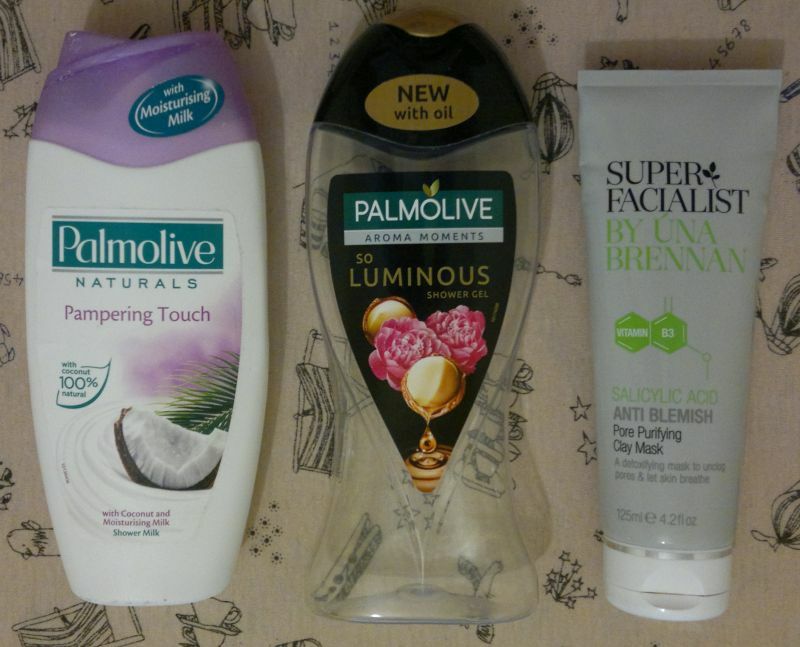 3 Palmolive Naturals Pampering Touch Shower Milk With Coconut – this is a lovely shower cream. And it doesn’t smell of coconut at all! Great stuff! I will repurchase this one, no doubt. 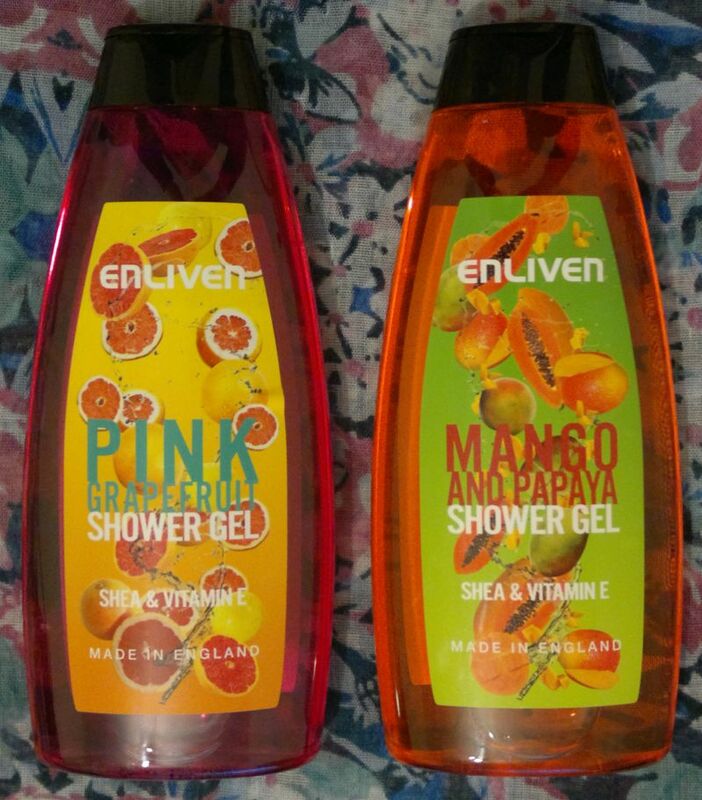 4 Palmolive Aroma Moments So Luminous Shower Gel – this is a nice shower gel that I can see myself buying again. 5 Super Facialist By Una Brennan Salicylic Acid Anti Blemish Pore Purifying Clay Mask – this is a great mask. Very effective! At the moment I have too many face masks to even think about repurchasing any of them, but this is definitely one I would be happy to have again. 6 Superdrug Naturally Radiant Brightening Micro Polish – this is a great product. I had it before, and I’ll buy it again. 7 Daily Defense Moisturising Conditioner With Keratin – one of my all-time favourites. 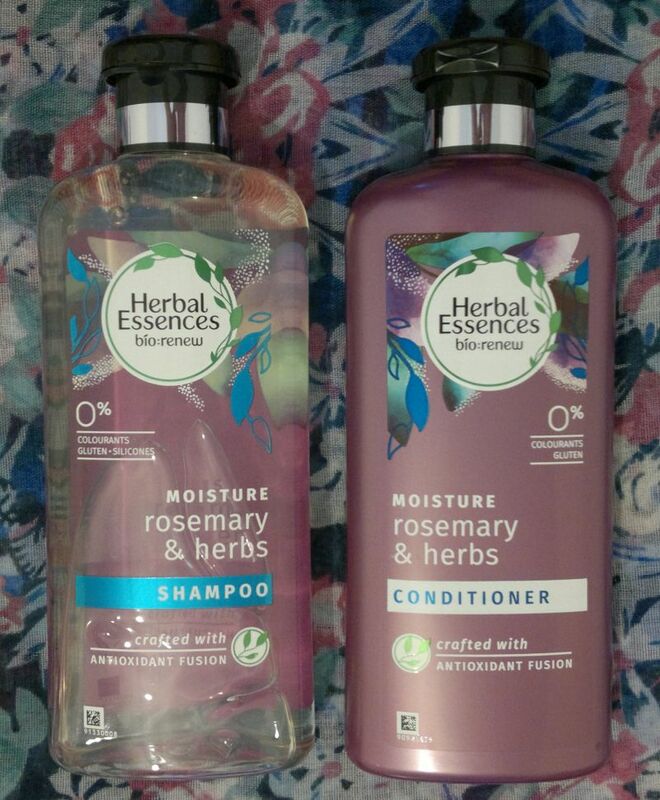 I have 2 more shampoo and conditioner combos in my stash! 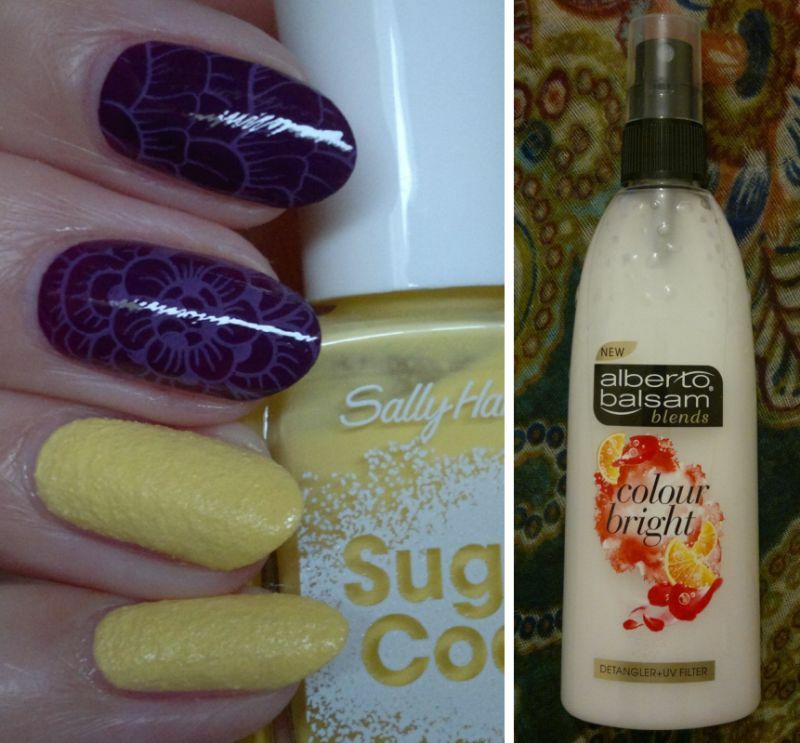 8 Dolly’s Mixtures Candy Floss Sweetness & Light Shower Gel – this is a cute shower gel. It’s very sweet! I might buy it again. 9 Yves Rocher Vanille Blanche / White Vanilla Bath & Shower Gel – a lovely shower gel. Too bad it was a limited edition. 10 Yves Rocher Vanille Blanche / White Vanilla Perfumed Body Lotion – another nice YR product. Limited edition as well. 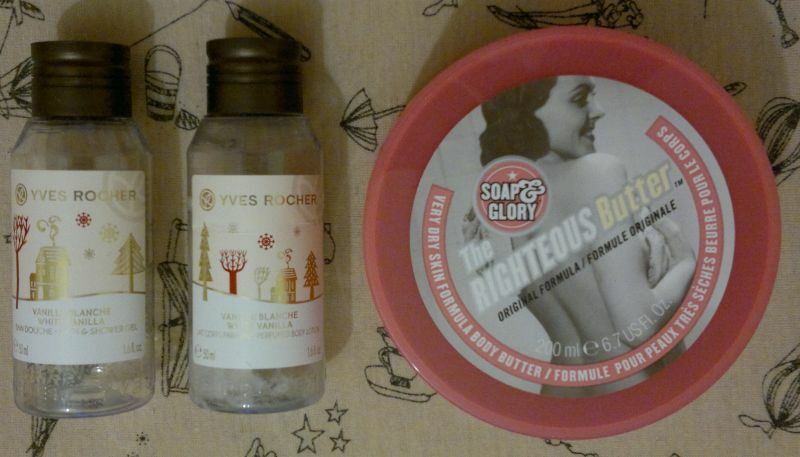 11 Soap & Glory The Righteous Butter – good but not great. I wouldn’t repurchase it, but it were part of a gift set, I wouldn’t mind using it again. What have you used up recently? Feel free to get in touch via the comments. And thanks for reading! 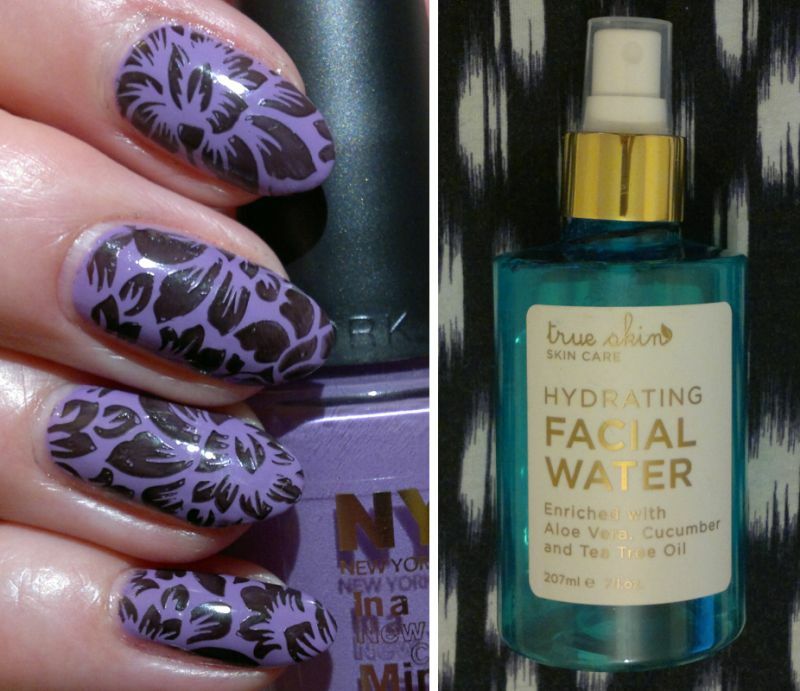 On Monday I showed you a mani I did a little while ago. Click here to read the post. 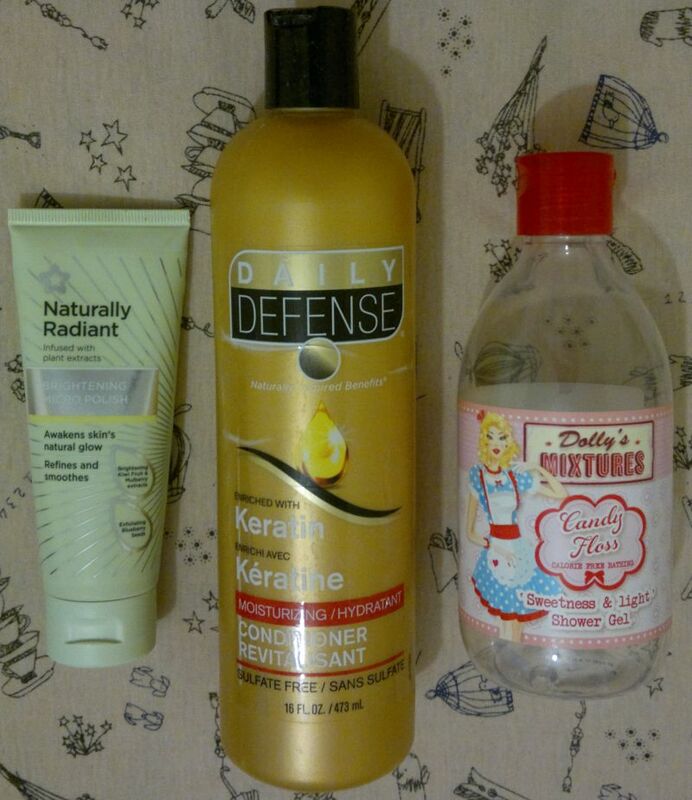 And on Tuesday I reviewed a hair detangler. Click here to read the post. 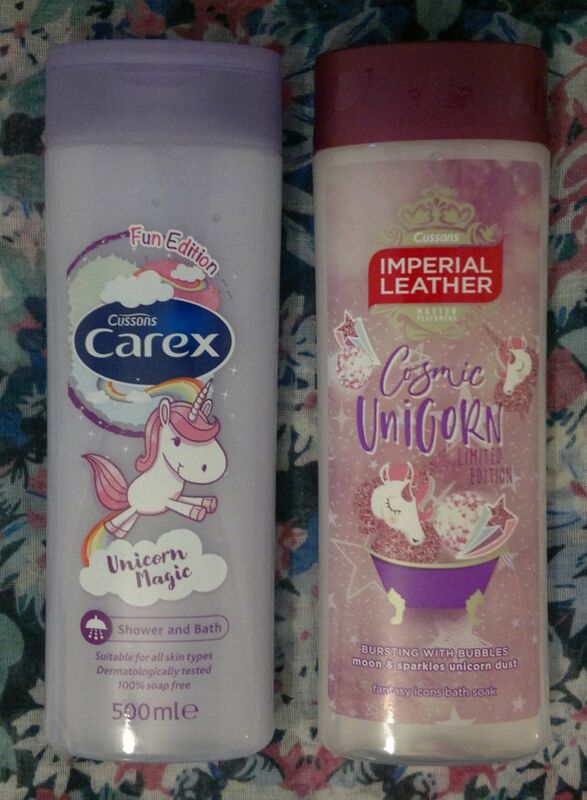 On Wednesday I reviewed a body butter. Click here to read the post. I showed you another mani on Thursday. Click here to read the post. 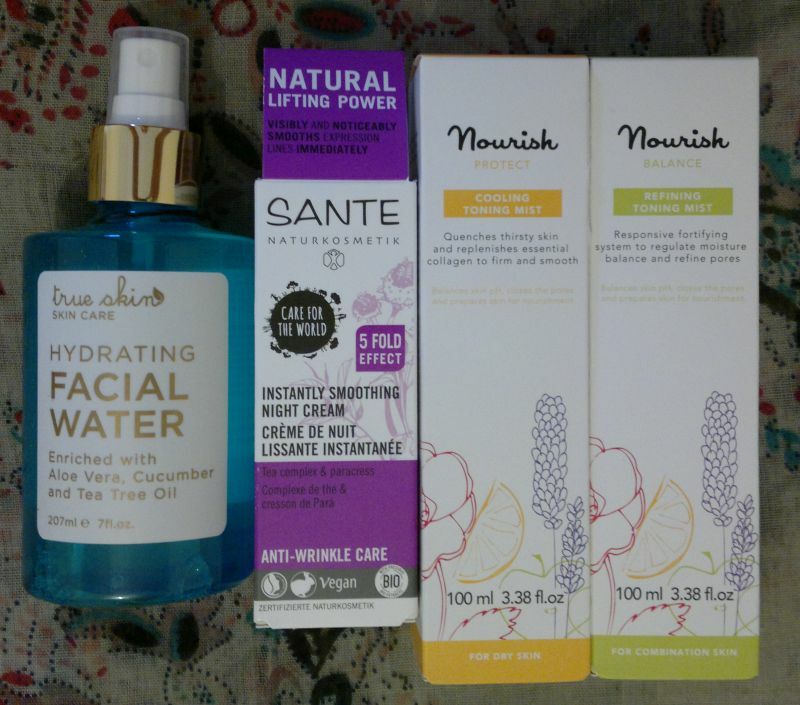 And on Friday I reviewed a facial water. Click here to read the post. Hi there! 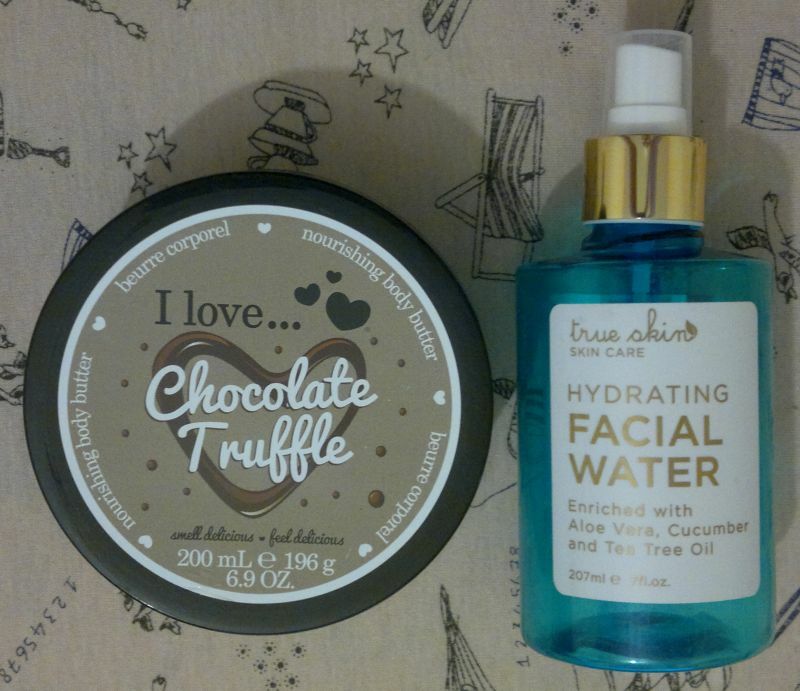 Today I’m reviewing this True Skin Hydrating Facial Water. I bought this facial spray a couple of months ago, and I’ve actually been using it since then. So it’s time to write up what I think about it. The next thing I found was that cucumber is listed as an ingredient on the front of the bottle. However, cucumber is not listed in the ingredients on the back of the bottle. I assume they made an innocent mistake, but regardless of this, not being able to get a few ingredients right is pretty sad. How’s the actual product? Well, I’m not impressed. This facial water provides basic hydration but that’s about it. I also don’t like the way it smells (tea tree oil), and I hate looking at the lid. Be careful not to get this stuff in your eyes as it stings like crazy (think sunscreen times 100). I will finish this product, but I would neither recommend it nor buy it again. 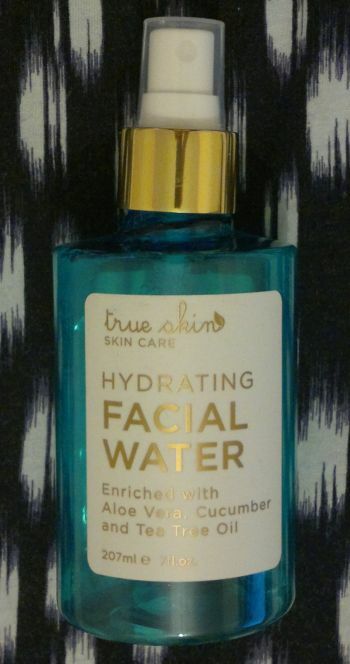 True Skin Hydrating Facial Water is available as 207ml. I paid £5.99 (TK Maxx). This is most of what I’ve bought over the past couple of weeks (or months…). 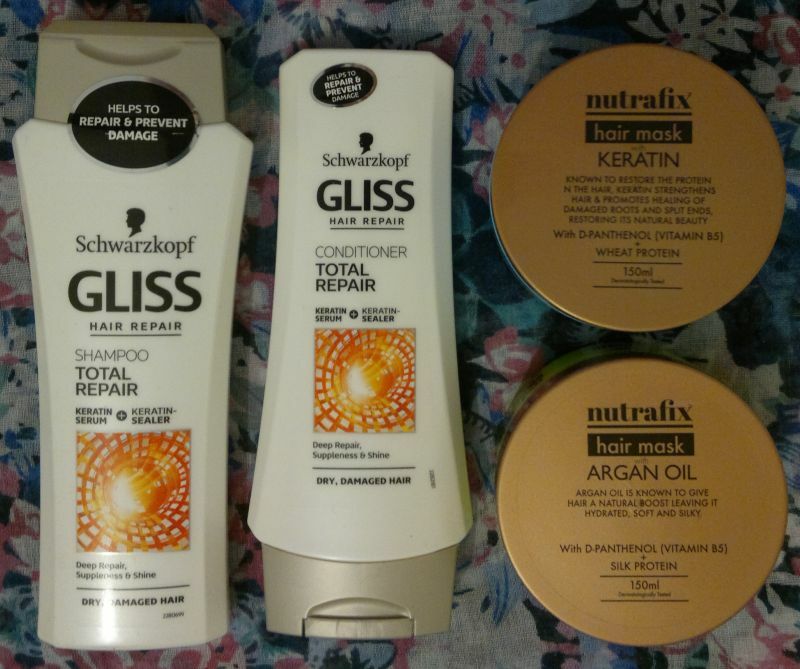 It’s quite a lot, but I’ve finished quite a few shower and skin care products, so I deserved to treat myself!